Philadelphia, PA — February 12, 2019 — Almo Professional A/V, the Pro AV industry’s Favorite Distributor, today announced a new distribution partnership with VDO360, provider of videoconferencing cameras and technology, including the VDOCUBE Zoom Room Package. VDO360 has joined the Almo 2019 E4 Experience, a rebranded, expanded version of the award-winning E4 AV Tour, coming to Chicago March 12 and Southern California on April 5. All VDO360 products are now available through Almo Professional A/V. In addition, Almo now carries the VDOCUBE Zoom Room Package. It brings ease- of-use and true enterprise-grade quality to the Zoom Room. VDO360 Zoom Room bundles include all products in a single box, including a CompassX, 10X optical zoom camera, Yamaha Unified Communications Revolabs FLX UC 500, Intel’s latest generation i7 NUC, Samsung Galaxy tablet with rotating tabletop mount and all cables. What sets this bundle apart is that every component has been configured, connected and tested as a system, eliminating worries about compatibility or function. Headquartered in Edgewater, Maryland, VDO360 is dedicated to bringing the components of a visual collaboration space to everyone. 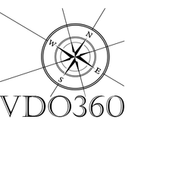 VDO360 was formed by industry professionals to provide access to visual communications products and services for the trade. The company has developed a best-in-class camera to capture video, worked with Intel on the best-in-class computer, found the best-in-class microphone to capture the audio and put together a package to maximize value for videoconferencing applications. For more information, visit www.vdo360.com.